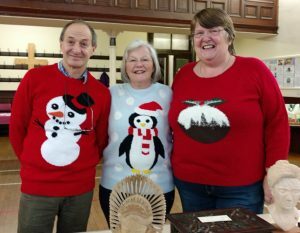 This years December meeting was a mix of Christmas jumpers, a Jacobs join and some interesting objects. Members were asked to bring in some interesting carvings and tools to share with the group. These included Family heirlooms and a rather terrifying hand drill ! !